entering queries to the author. Word offers a lot of tools—some hidden, some obvious—to help with many of these tasks. Word contains tools that can fix file corruption, reveal text fields within a document, and convert tabbed tables into Word tables with a click of a few buttons. The Navigation Pane can help with searching for and inserting different heading levels. Formatting and editing shortcuts can be an important time-saver for the busy manuscript editor, as can the Split tool (see two parts of the same document at one time). 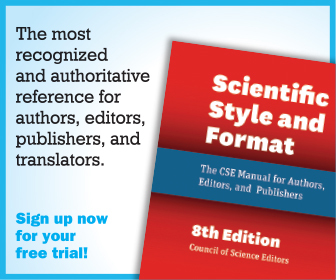 Each manuscript editor has different preferences for how he or she edits a document. 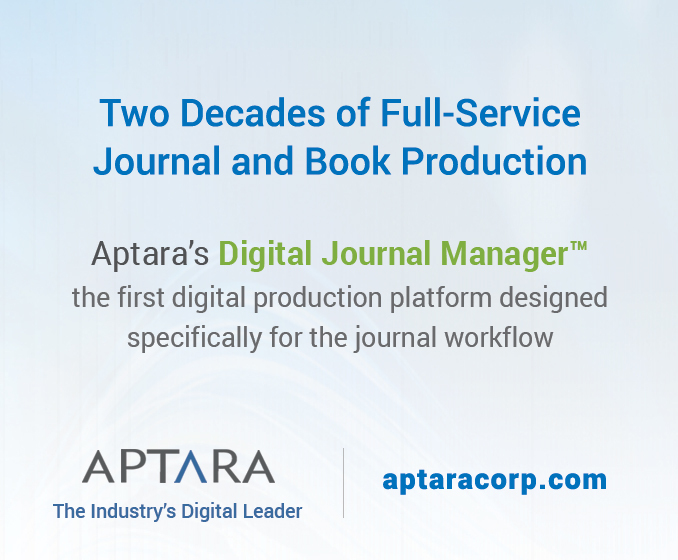 Depending on your personal workflow and the journal’s workflow, there may be some tools in Word that you use all the time, some that you rarely use. Customizing Word to your specific needs will make the program easier to use and increase your efficiency and productivity. The Ribbon can be altered to add or remove buttons or tabs, rename tabs, and change the order of the tabs. The Quick Access Toolbar also can be customized to the user’s preferences. Don’t forget to explore all of Word’s options through the Options menu! Peter J. Olson, senior copyediting coordinator for Dartmouth Journal Services, continued the course with a presentation on editing medical and scientific tables. The purpose of a table in a scientific article is to present the data of a study, support the conclusions, give an overview, or highlight significant trends. When editing tables, a manuscript editor should try to use as little space as possible and make the table concise by consolidating the information presented in the table and avoiding repetition. 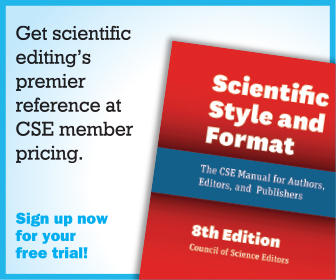 Editing tables can be challenging, but there are things that a manuscript editor can do to make the task easier. Some of the tools available in Word make the table easier to read when editing, such as viewing gridlines, adding and removing rules, and removing or inserting columns or rows. It is also possible to repeat the header if a table flows from one page to another and merge cells or split them apart, as well as distribute cells evenly throughout the table. Stacy Christiansen, managing editor of JAMA, then presented information on editing charts. Charts are used by authors to graphically illustrate the results of their studies. In general, charts, along with their titles and captions, should be able to stand alone, apart from the text of the paper. Keeping this in mind, the manuscript editor should edit the titles, legends, keys, and captions to be concise but informative. The chart itself should be thoughtfully labeled without wasting space. Axes should be labeled. The chart should be easy to read, that is, the right amount of information should be conveyed. Too much information and the reader may be confused about the results being reported; too little and the reader may not learn anything from the chart. Choosing the right type of chart is important: bar graphs, line graphs, forest plots, dot graphs, string plots, and flow diagrams are some of the available options. Make sure that the chart the author has chosen is suitable for expressing the results as intended. If the type of chart is correct, make sure that it has been used correctly as well. Sometimes a photograph is a suitable format for illustrating the elements of the article. In such cases, care should be taken to ensure the anonymity of the subject(s) in the photos. It used to be acceptable to insert black bars over the eyes of the subjects in a photo as a way to make the subject anonymous. However, acceptable practice now is to take other measures to ensure anonymity, such as close cropping to the area of interest in the photo. When complete anonymity cannot be achieved, patient consent should be obtained, or the photo should be omitted from the article. The final presentation of the course was given by Annette Flanagin, executive managing editor for JAMA and the JAMA Network, on some ethical and legal issues in scientific editing. Common concerns for editors working with journals are authorship, conflicts of interest, and copyright. Authorship is an issue for which each journal should have a standard policy, but journal policies vary. 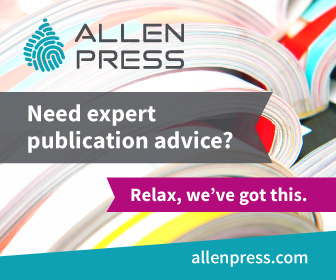 Questions surrounding the authorship of a paper can cause problems for authors and editors. 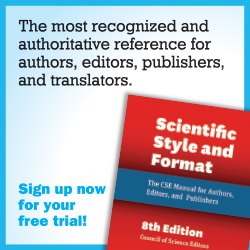 The International Committee of Medical Journal Editors (www.icmje.org) provides a recommendation of four criteria that should be used when deciding whether or not someone qualifies as an author. Other authorship factors to consider are the order of authors, how to handle group authorship, and how to acknowledge authors who do not meet all of the four criteria. The Committee on Publication Ethics (COPE) (publicationethics.org) is a resource for recommendations on how to handle authorship dilemmas and disputes. Journals should have firm policies about potential conflicts of interest. Authors, reviewers, and editors should disclose any potential conflicts of interest that may introduce bias into the peer-review process. A journal’s policy should indicate specifically what constitutes a potential conflict of interest that an author, reviewer, or editor should disclose and provide a format for that disclosure. 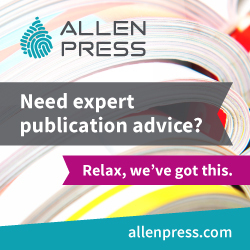 Copyright is another area of publication ethics that requires a journal policy. It should be clear who owns the copyright of any item published in the journal. If the journal requires transfer of copyright or a publication license before publication, then a signed form should be obtained before an article is published. Unless covered under a Creative Commons license, copyrighted material should not be reproduced without permission, even by the author. Journals should have accessible policies on copyright and procedures for handling permissions to reuse their copyrighted material.